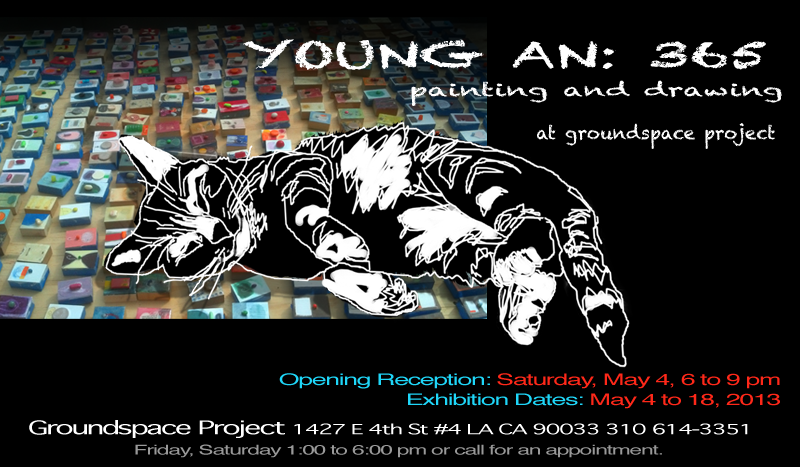 Groundspace Project is pleased to present 365 a solo exhibition by Los Angeles artist, Young An. An exquisite diary of 365 small paintings plus works on paper, Young An’s new body of work is a continuation of the “Candy Series,” which she began in the mid ’90s. Each painting is a delightful composition of form and color, with a touch of sweetness. The works in this exhibition create a playful punctuating pace from afar, drawing the viewer in close for a slower, more contemplative reading. Please join us for the opening reception for Young An: 365, Saturday, May 4, from 6:00 to 9:00 pm. The exhibition runs through May 18.